It’s The Age of the Customer – get over it! 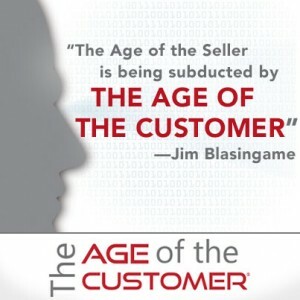 This week I am thrilled to be able to participate in the book launch of Jim Blasingame’s new book The Age of the Customer. The following is a guest post from Jim Blasingame. Then something happened that had not occurred for 10,000 years: A new age – I call it The Age of the Customer®. Write this on a rock … It’s the Age of the Customer® – your world has changed. 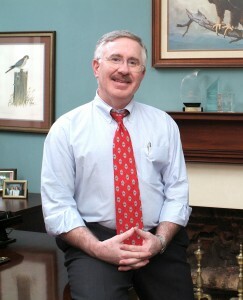 Jim Blasingame is one of the world’s foremost experts on small business and entrepreneurship. He is the award-winning host of The Small Business Advocate® Show, the world’s only weekday radio talk show dedicated to small business, nationally syndicated since 1997. He is also a syndicated columnist and author of two books, Small Business is Like a Bunch of Bananas, and Three Minutes to Success. His new book, The Age of the Customer®, will be released January 2014.